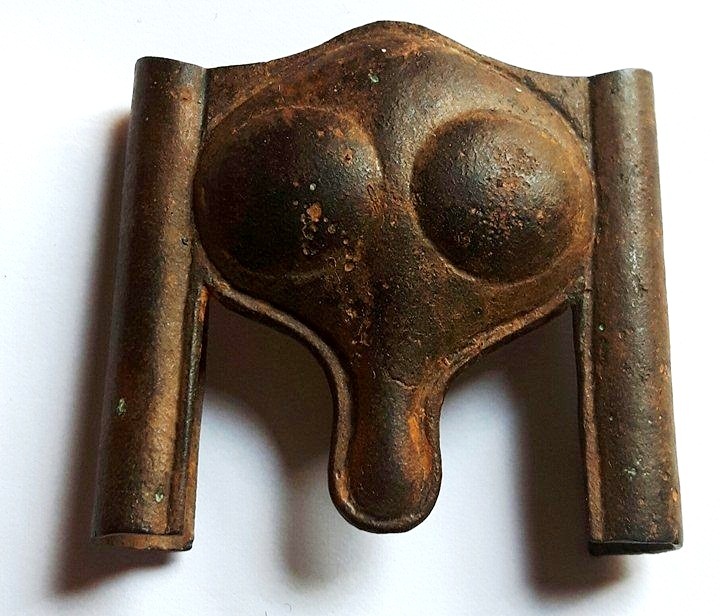 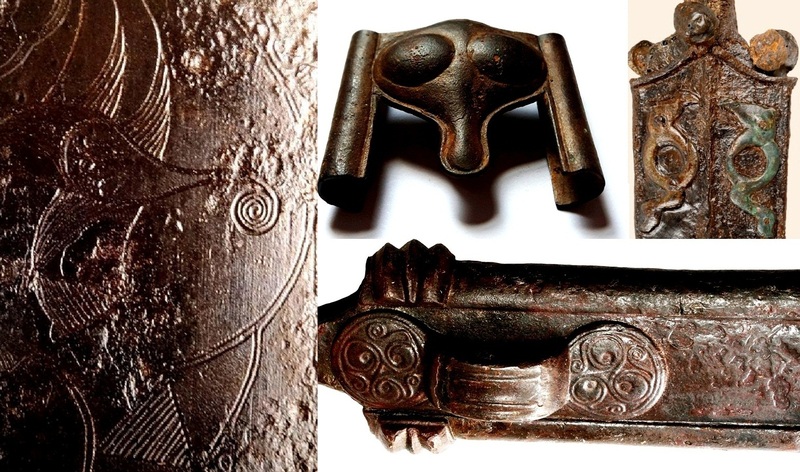 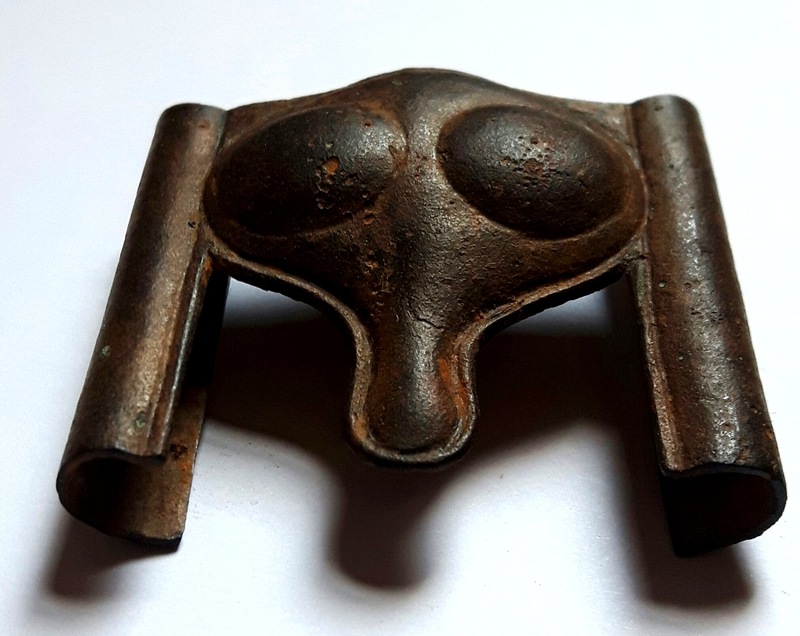 Some of the finest examples of Iron Age European art are to be found on Celtic scabbards of the middle/late La Têne period – fantastic compositions born of anthropomorphic, zoomorphic and geometric motifs, or a combination thereof. 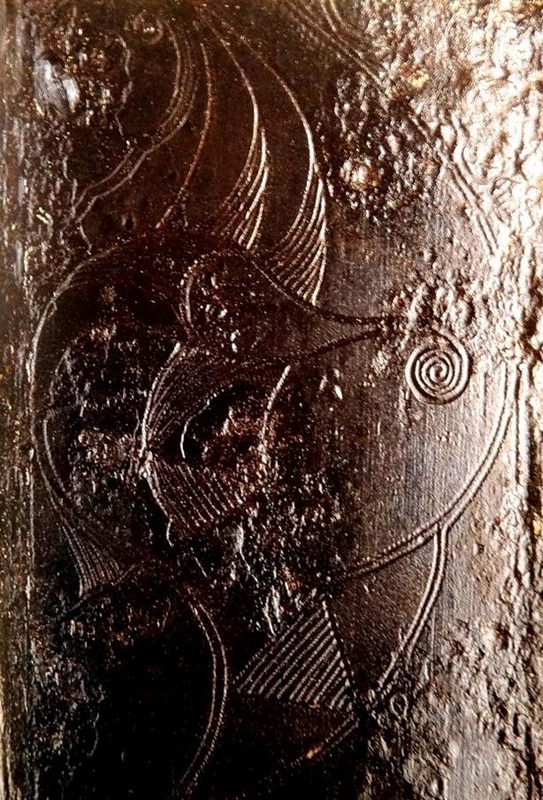 Detail of scabbard with Triskele decoration, from a Celtic burial at Novajidrány-Sárvár, Hungary. 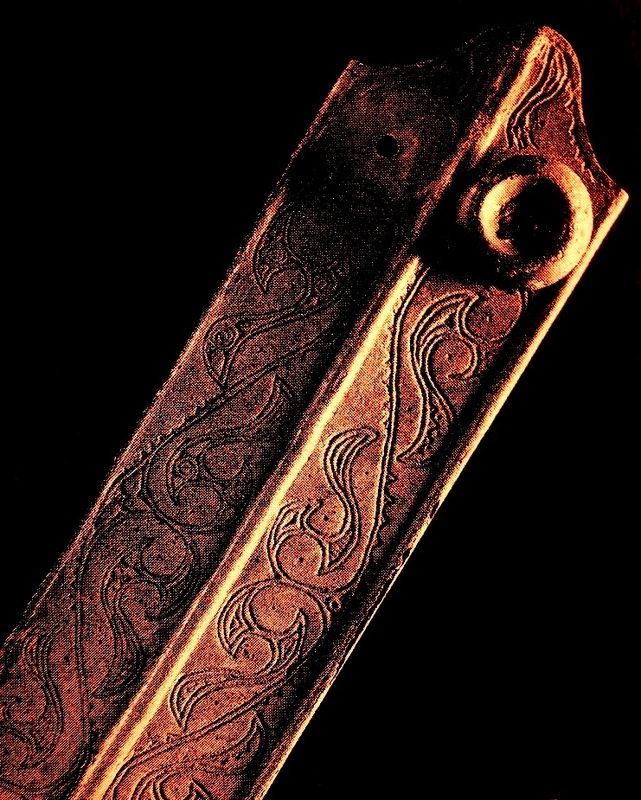 The triskele is a particularly common motif on Celtic scabbards and other protective military equipment. 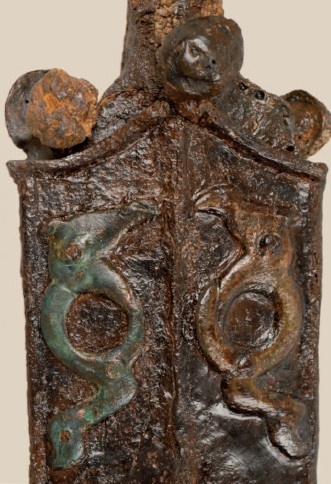 Geometric and Anthropomorphic decoration on scabbards from a Celtic hoard discovered at Förker Laas Riegel (Carinthia), Austria. 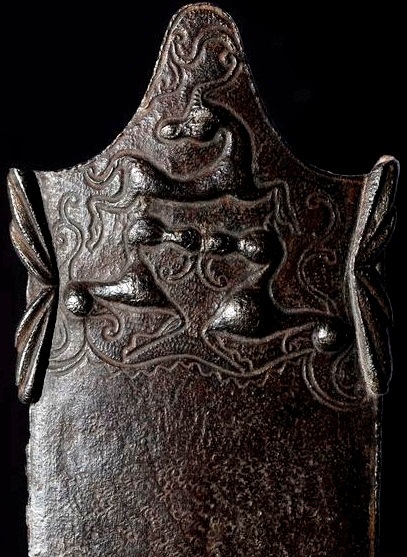 Celtic art draws its inspiration from all aspects of the natural world, and the artistic compositions on middle-late La Têne scabbards are no exception, with creatures of all kinds, both real and imaginary, appearing in the decoration of such scabbards. 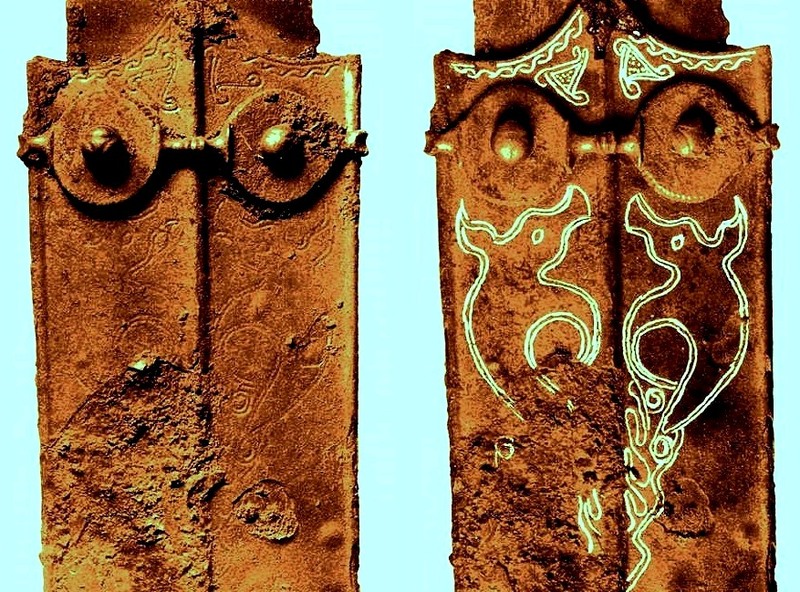 Beasts portrayed on Celtic scabbards range from highly stylized examples, such as those which appear on Dragon-Pair scabbards, to comparatively naturalistic portrayals. 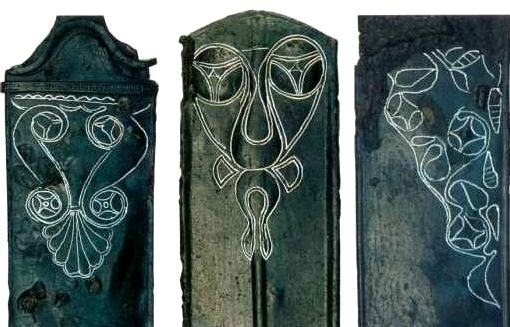 Celtic art functions on a number of levels (often simultaneously), merging reality, the subconscious and the absurd. 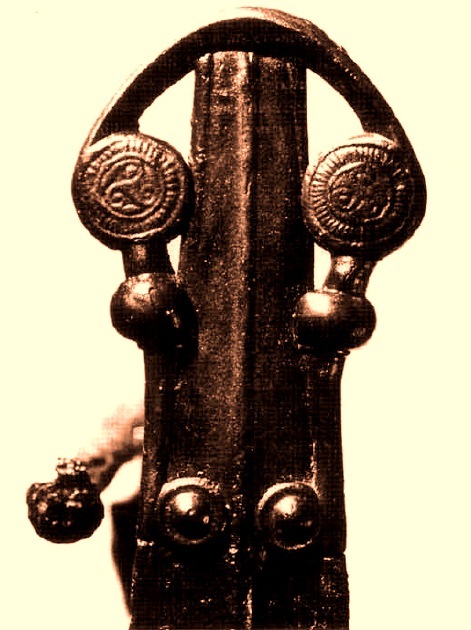 While the modern mind may never fully comprehend the exact messages being conveyed, the artistic symphonies portrayed on Celtic scabbards provide a unique glimpse into the framework of religious and cultural values which motivated the Iron Age European population. 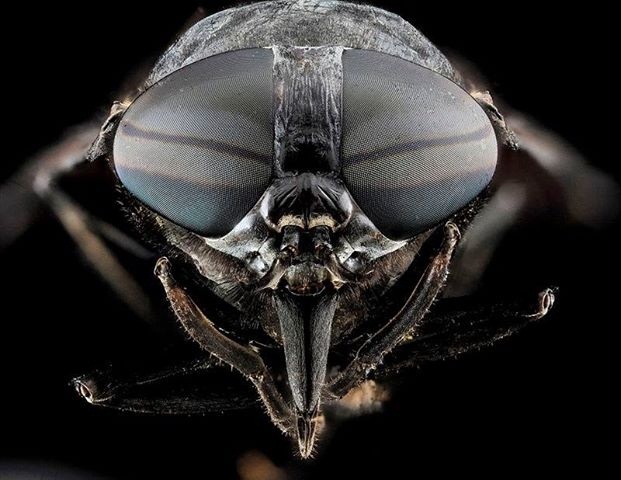 Beautiful designs and good, clear informative presentation.